Mike Yorke recently returned from the USA after spending 30 years in the music business as well as working in the the UK. He was educated in the UK at various performing arts organizations. Having completed his education he turned Pro’ at the tender age of sixteen. Early in his career, in addition to Jazz Ensembles ( MYJO, NYJO etc! and various big bands ) Mike worked with such greats as Shirley Bassey of 007 Goldfinger fame, Marti Caine,Paul Daniels,Faith Brown, Freddy Starr, Petula Clark, George Melly, John Patrick and….. Barry Gib of The Bee Gee’s . He also played with some of Mowtown’s finest including The Four Tops and The Temptations and also the Drifters, Coasters and many more bands in the Miami area and a couple of years on the cruise ships as assistant musical director with the Peter Hutchison orchestra on NCL in the early 80’s. As a studio musician he has participated in hundreds of recording sessions for major labels and artists and programmed & produced many projects including Miami Seaquarium, Disney, Casino shows, Cruise line shows and Miramax films to name a few. The Akai Electric Wind Instrument or EWI as it’s known can be thought of as a type of Electric Saxophone. It is played much like an acoustic Saxophone yet it can sound like anything. This rarely seen Instrument was invented by Nyle Steiner and has been around since the mid 80’s. The EWI and its Trumpet counterpart – the EVI ( Electric Valve Instrument ) has been used extensively in Studios and Movie / TV Soundtracks. Inventor Nyle Steiner has played the EVI in the Soundtracks of Apocalypse Now, Ghost, Close Encounters, The Color Purple, Fatal Attraction, Star Trek III, Knotts Landing, Columbo, Dallas & many others as well as many more EWI/EVI players such as Mike playing on hundreds of Album & Sound Tracks. Though you may have not seen the EWI & EVI Instruments , you’ve probably heard them numerous times. 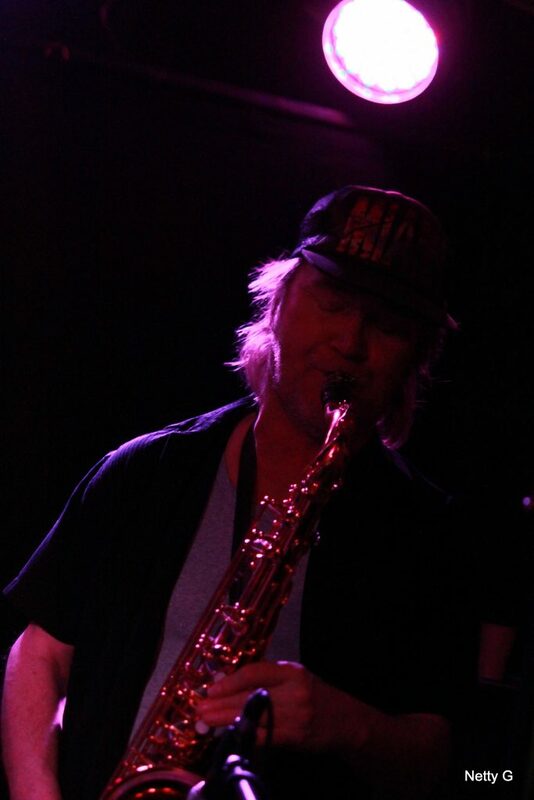 Mike has been playing the EWI for several years live on stage as well as in the studio session circuit in the USA.